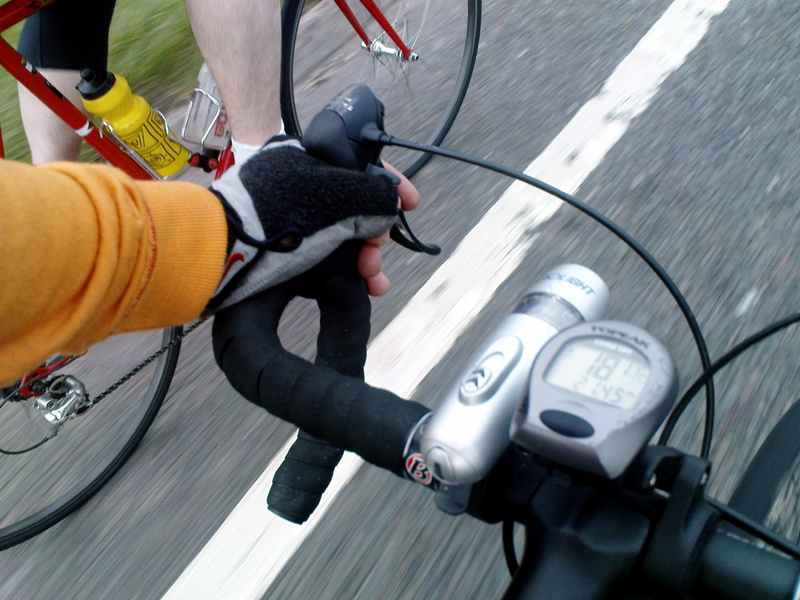 Regular readers of this blog will know that often I head out for a ride with my friend John. I first met John when we both worked for the much missed and inimitable Ottakar’s books and we’ve remained friends even though that company has been absorbed into Waterstone’s, and workwise we’ve gone our separate ways. John, in common with many Ottakar’s store managers, got out of Waterstone’s a while back when he found the difference in company culture between the two businesses to be so radical that he no longer enjoyed his job. He went into factory work for a bed and mattress company, this was always intended to be a stop-gap job where he could gather his thoughts and not have to worry about work out of hours. Often he had spoken of his dream job being speccing out and building the perfect bike for customers, moving on to brazing and frame building. Those of you who’ve followed the blog for a while (and thank you very much for reading and coming back) will remember that John has a home bike workshop and is generous with his skills. There are very few bike mechanic things that John doesn’t know how to do, in fact, I can’t think of anything. He has respect and a love for the traditional in cycling, but also a hunger for the modern and the latest technology. So it is with great pleasure that I can announce that he has found a job that suits his skills down to the ground. Working for Moulton Cycles building up bikes! Total dream job! I’m sure we’ll be hearing more about it in the coming months as John settles in at the workshop and test track of the Bradford-on-Avon based company. To celebrate a few of us congregated at his house for a few drinks and some nibbles. Andy was the only one who arrived by bike though. I bought John a bottle of wine from Cycles Gladiator – a modern wine with a beautiful traditional label – befitting of a celebration for a man who works with cutting edge Moulton bikes and also Pashley traditional bicycles. Nice one John – and I didn’t even mention the rubbish keg of beer you supplied that night, that would pour pints of 50% head. 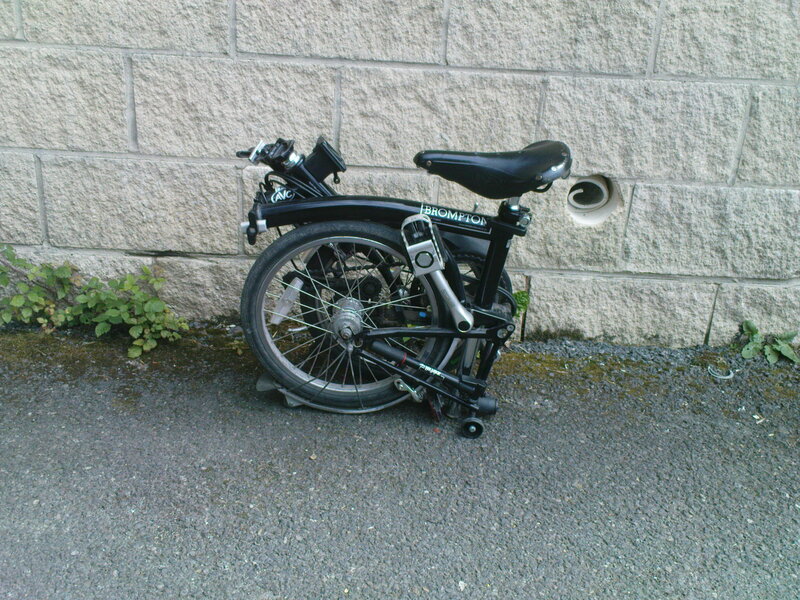 Picking up the car from the Garage, going via road resurfacing works, and all on a Brompton. “No thanks mate, I’ve got it covered”. Last Tuesday, John turned up for the evening ride on his own. The distinct lack of Brad to relentlessly drive us on meant that it was a mere fifteen minutes before we were ringing around people we knew en-route who might put the kettle on for us or even offer us some cake. 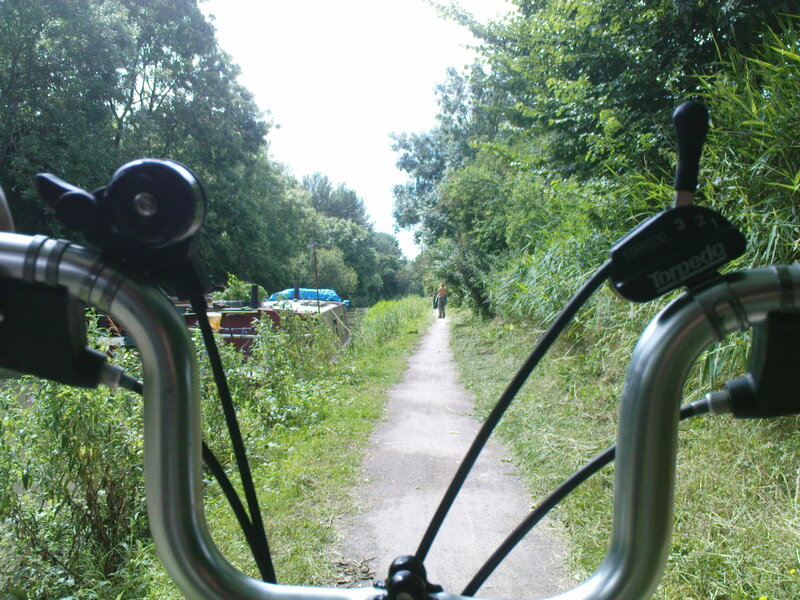 However everyone was rather thoughtlessly not at home, so by the time we go to Westbury, distinctly lacking in the tea and cake department, and no safe port available, we decided that perhaps we ought to do some cycling. John led me out along the road beneath the giant chalk horse carved into the hillside, but we quickly became fed up with motorists attempting risky overtakes or squeezing past us and forcing us into the verge. We turned left, racing downhill and I was quickly off my mental map and into uncharted territory. John’s curse is that he knows the backroads and lanes so well, even by name, that it’s very difficult for him to enjoy the simple pleasure of getting lost a mere few miles from home. However, once we had turned across ourselves a few times, double backed and taken some decidedly narrow lanes (at one point meeting a denim clad grey-haired hippy in a volvo head-on, he had a beard like an old testament prophet and some big aviators on. Without hesitation he put his car onto the verge to let us past on the road), even John wasn’t sure where we were. We found a hill that just took us down, down, down, and John started snapping pics on his phone as we drifted round the forgotten roads. This was blissful, our internal compasses were spinning wildly in the no-man’s land of the wiltshire backroads. Strewn with gravel and flood tidemarks, verges overgrown with grass overhanging the road, bending inwards to the grey, chalk-mud and dust smothered tarmac, these lanes sucked us deep into the landscape. These were old, old routes, cut deep into the Wiltshire soil by generations of feet, hooves, cartwheels and finally capped with tarmac. The road wound its way up again, passing skewed telephone poles and a distant church tower hoved into view. Sadly John now knew where we were. Your author, lost in the lanes - one hand on his hip, freewheeling, bliss. 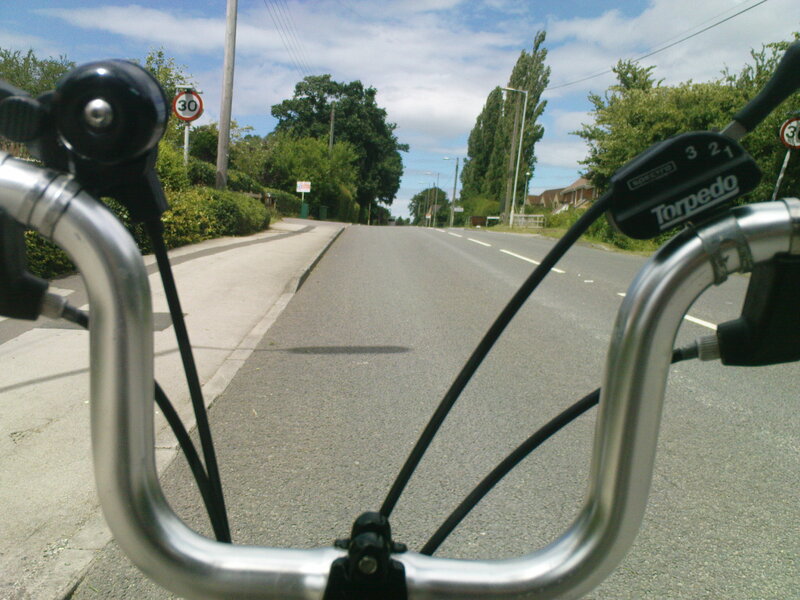 We crossed a busy road, the traffic seemed shockingly loud and abrasive after the calm of the lanes, then headed for Trowbridge. 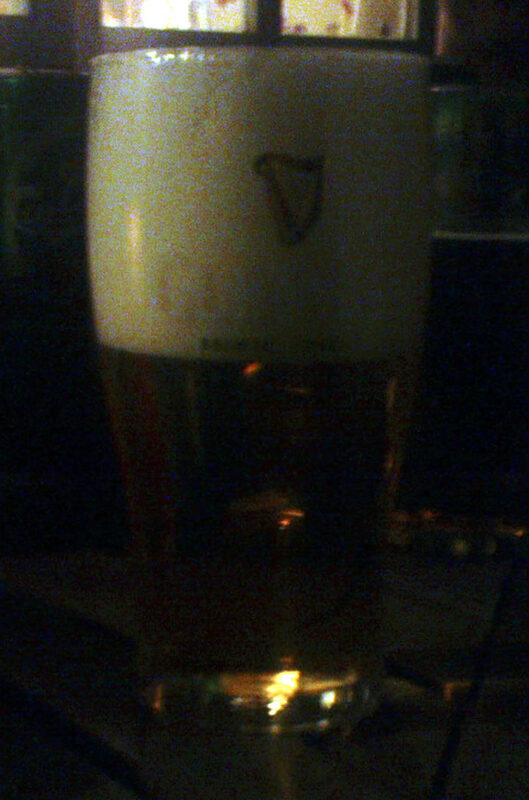 John and I parted at the pub near his house and I made my way home. 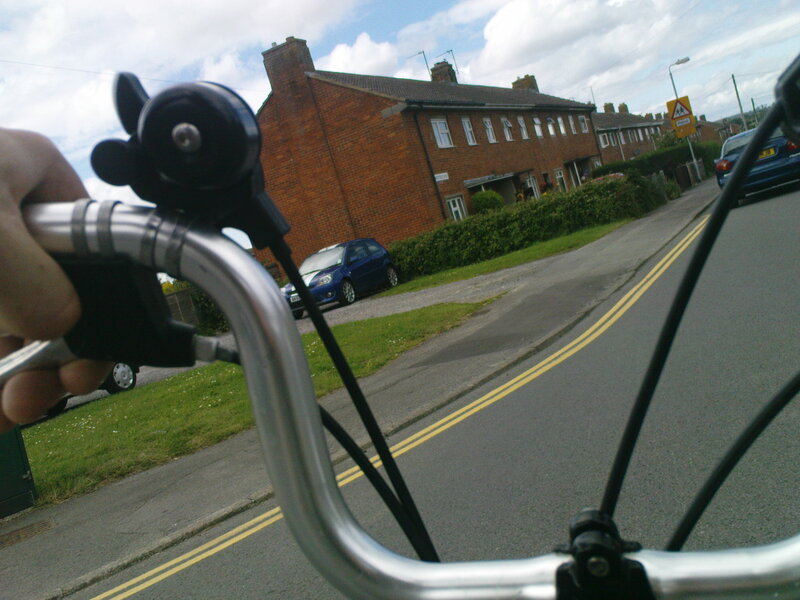 As I wheeled the bike down the path at the side of the house, scimitar shapes raced between the gaps in the houses. Swifts diving and screeching at gutter height – beaks open as they hurtled through clouds of near invisible insects before wheeling away and climbing up and up, higher than any of their avian brethren dare climb. I am currently three rides behind on the blog – it’s 00:01 on Saturday morning here in the UK, and the computer is on, so I’ll make a start on rectifying the situation. 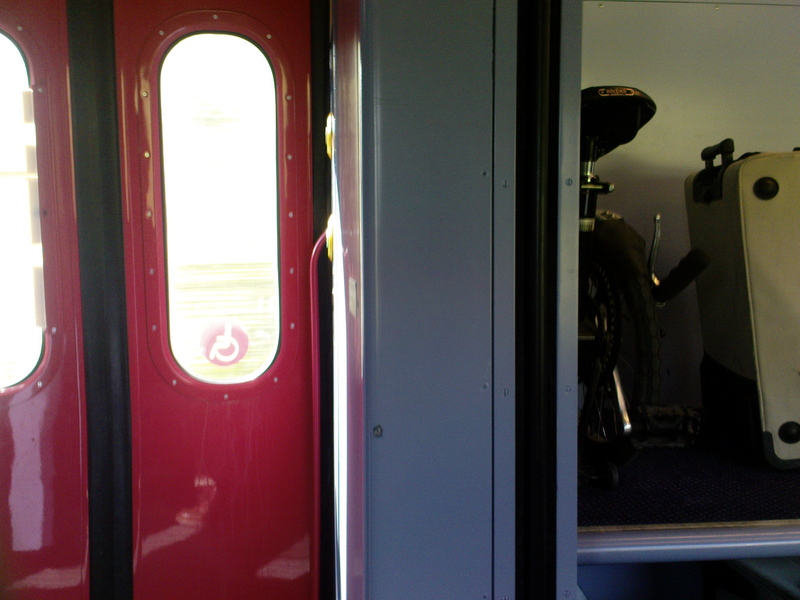 On Tuesday I worked right up until the bell, before getting the bike ready at the last minute. John and Brad arrived outside the front gate in a squeal of brakes, sending a small spray of chippings into the wooden fence. At the time, I was adjusting the panniers on the bike, they looked on in disbelief “What have you got those on for?” “Are you joining the CTC?” etc. etc. I wheeled the bike out to more mockery this time directed at my plus fours, Brad and John were of course lycra’d up from head to toe, clipless pedals, energy drink branded bidons, shades, the works. “Meh” is pretty much my response to that sort of attire. The mocking being completed we saddled up and rolled out to the A36 heading for Bath. The road was now open to traffic, fresh tarmac slipped easily under the tyres and we took control of the road on the descent into Limpley Stoke, with the speed limit on forty no one was going to overtake us on the hill. We took the corners fast and wide and arrived on the viaduct with big grins and verbal high-fives. Unfortunately the unrepaired stretch of the road to Bathampton was a nightmare of frost-smashed chippings, potholes and cracks that jarred our hands and arms and sucked the life out of the wheels. Hurtling towards Bath on the downslope put me in mind of an old bomber command style war film, flack exploding around a Lancaster Bomber as it heads for the target, the pilot desperately trying to keep the plane pointing in the right direction as the fuselage is breached and the air is wracked with turbulence. 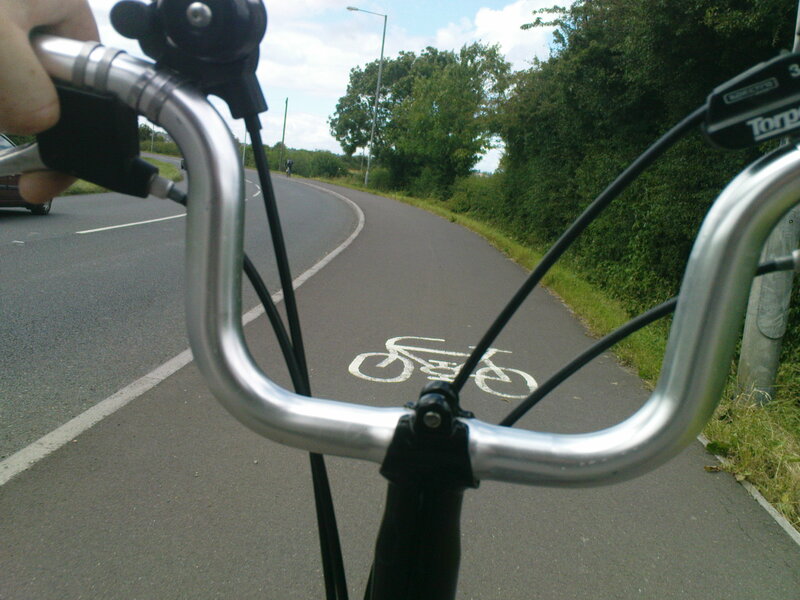 The bike threatened to bounce off its line or suffer a buckled wheel, smashed on the anvil of the A36, it was a relief when the tarmac became smooth again. Rounding a switchback corner I saw a Jay rise from its perch on a fence on top of the bank, a brilliant flash of colour from the wings as it took to the air. Across the toll bridge, riding behind Brad, I noticed him standing on the level cranks to deal with the crumbling road and slewed across to draw level with him. “You can always tell a roadie, because they cut you up” – exclaimed John. I had thought him a good five metres behind when I drifted across the road, instead I had moved clean across his path as he was about to race in between Brad and myself. Whoops, bad road etiquette. We cranked out the miles towards Box, entering the village then turning up a long, long hill. Not steep, just long, almost two miles long. On the way up I slipped in behind John and changed gear whenever he did. 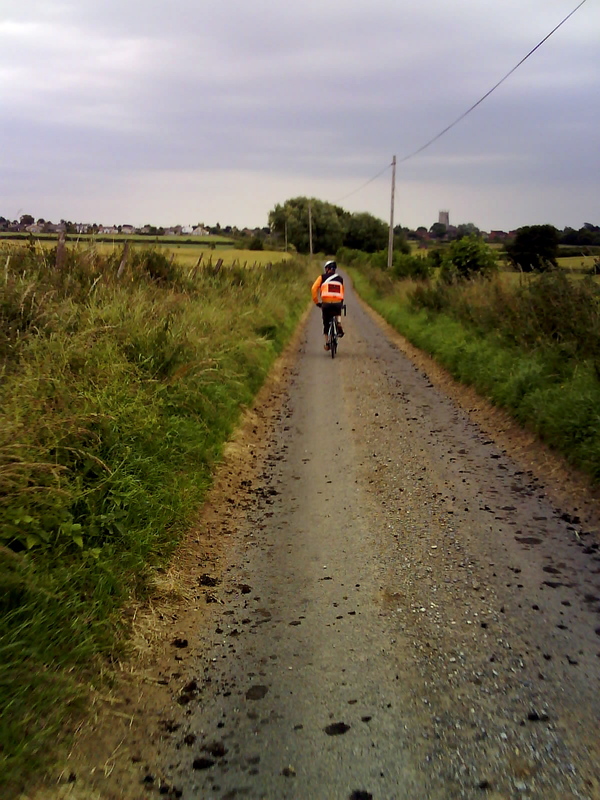 The hill was long enough, and shallow enough to generate a reverie as I spun the cranks and concentrated on maintaining my distance to John’s back wheel. It occurred to me how easy it is to change gear on a road bike now. A motion of the thumb or finger, barely lifted from the bars, an imperceptible movement only given away by the whirr and clunk of the chain moving over. 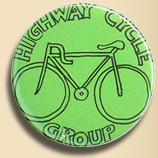 How different it is from the cycling of my youth with the original Highway Cycling Group. 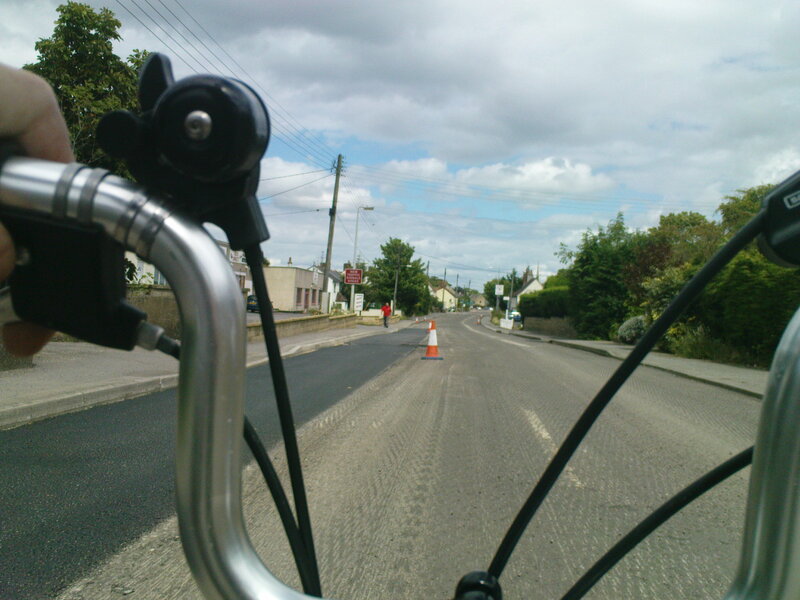 Then, a gear change was a measured decision, involving the hand dropping to the down tube, a leaning forward and, eyes still on the road, the easing of the lever until the grating sounded and the chain went over. 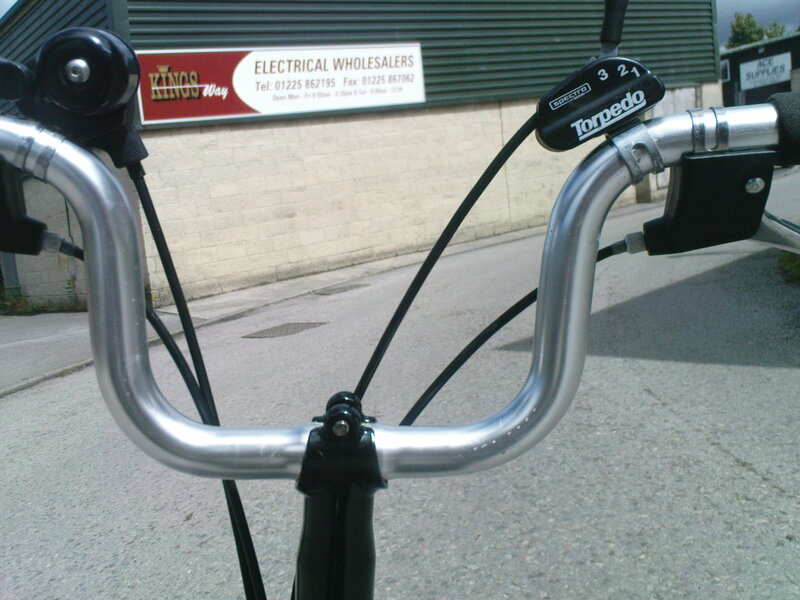 Maybe, if it had been a hastily snatched imperfect change on a steep hill, desperately hurried as every millisecond with a hand off the bar meant the bike was barely in control, the hand may need to return to the lever for some micro-adjustment to stop the chain rubbing or the deraileur ‘ticking’. I used to like making the change slowly; waiting for the moment when the chain would start to move over, which could be felt through the bike before it could be heard. I also used to love the feeling of cranking out the power and moving the hand down to change up, sometimes keeping my hand on the lever as the cadence increased, ready for the next change. I remember on the Highway Common, riding the length of it at speed, going up through all the gears until the bike skimmed over the chippings, and it was both hands on the drops and head right down; panting with the exertion, calves aching as I approached the ninety degree bend at the end at what seemed like an impossibly fast pace in top gear. Now it’s all so instant, indexed gearing means a single push and the gear changes immediately, the effort required somehow seems less than the physical effect achieved. Still, I was glad that it was easy to change gear up and down willy-nilly on Box hill. 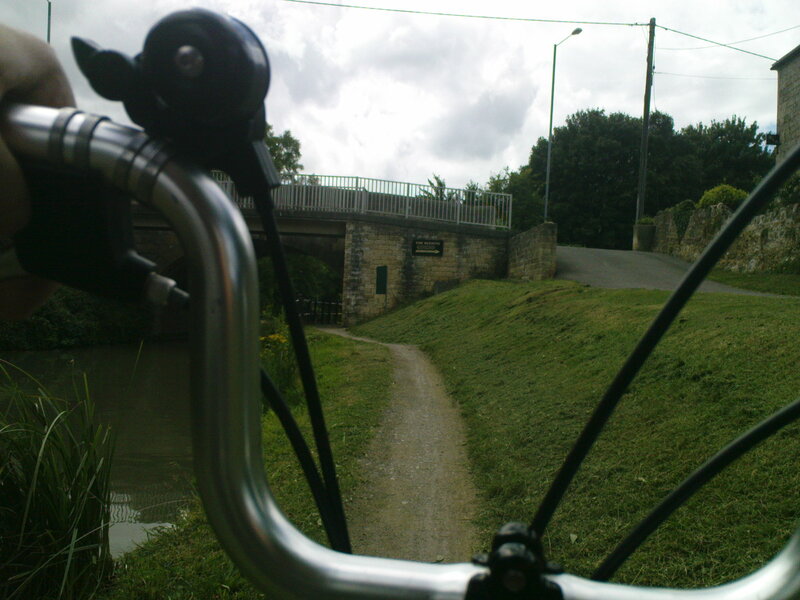 It seemed to go all the way to Corsham. Brad was of course way out in front, both feet off the pedals, legs stretched out backwards superman style, clowning about. 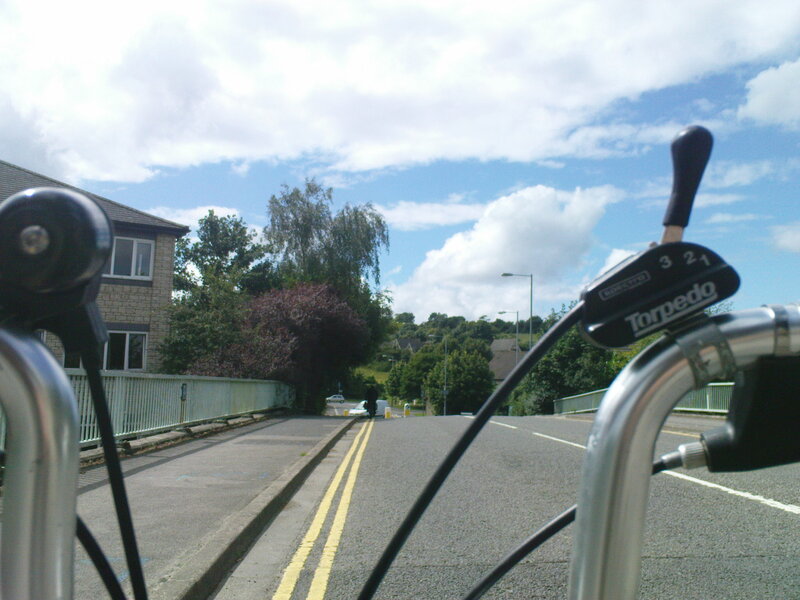 We were going at a cracking pace, helped by the steep drop into the back end of Chippenham. 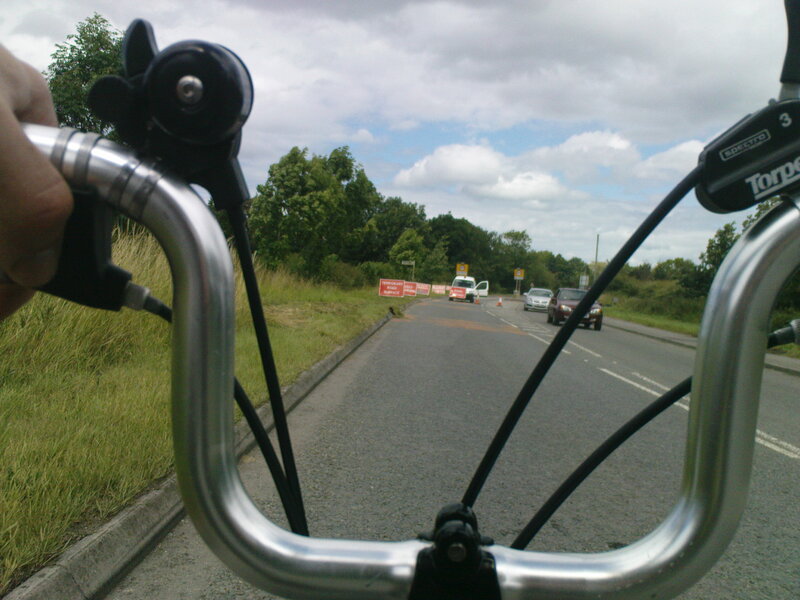 We turned for Melksham and more bad roads via Lacock. Heavy freight revved horribly close to us, drenching us in diesel fumes and blasts of hot engine air, the road throbbed with the weight of HGVs, the air pulsed with the sound of their gear changes as they overtook us. A moped whined past John and myself with an engine that sounded like an angry bee caught in the greaseproof liner of a cereal packet. I shouted to John “This’ll be good, watch Brad!” Sure enough as the moped drew level Brad stood on the cranks and applied the power, staying level as the moped rider tried to increase his speed. Point made, Brad slacked off and dropped back, then continued at his usual pace. On arrival back at Trowbridge John offered me a cuppa and I gladly accepted, much in need of a rest before the final ride home. We sat outside in the gathering dusk with steaming cups of tea and talked bikes and bikeshops. 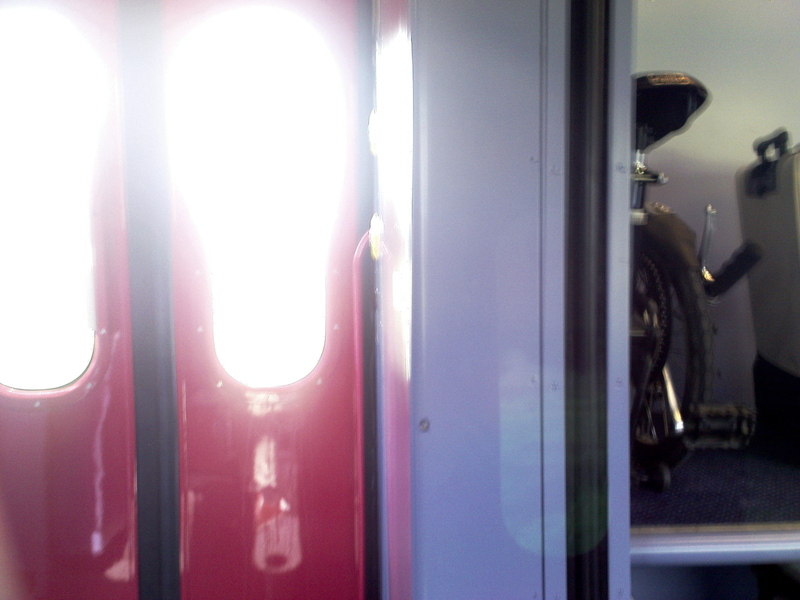 Twenty minutes later I saddled up again, bid John farewell, and meandered home. 37.5 miles at an average speed of 16.4 mph, not bad considering we only managed 8-10mph on Box hill. I was pushed all the way to John’s house in Trowbridge by an insistent tailwind, this did not bode well for this week’s Wednesday Ride. I dismounted and pushed the bike past the wheelie bin in the narrow alley leading to John’s secret garden. Not long after I arrived, the sound of someone squeezing past that same bin announced Brad’s arrival. He had been suffering from a ‘dodgy tum’ for the whole week, it was my secret hope that this would scrub some speed from the super-fit whippet, of course I would barely notice any dip in performance as his form is lightyears ahead of mine. 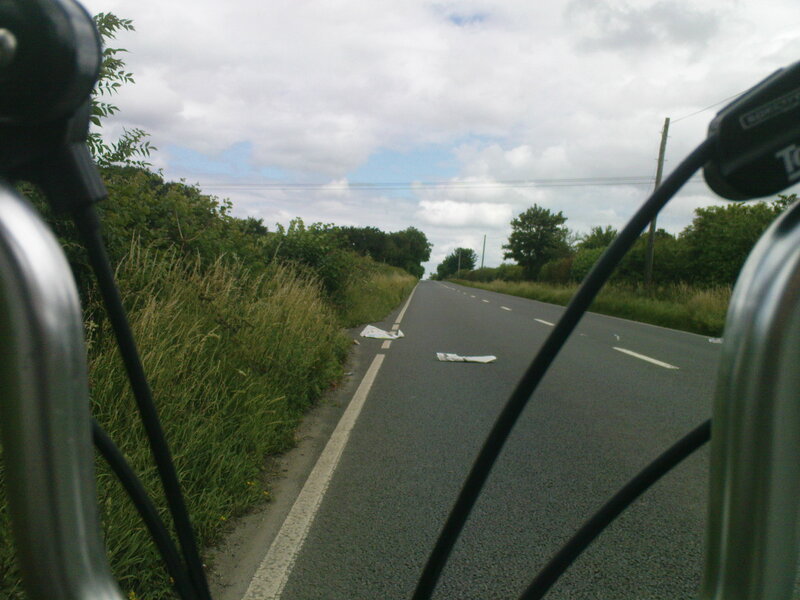 We set off in a row into some fierce winds, but on turning towards Melksham the wind moved behind us and sent us speeding down the road with considerable urgency. 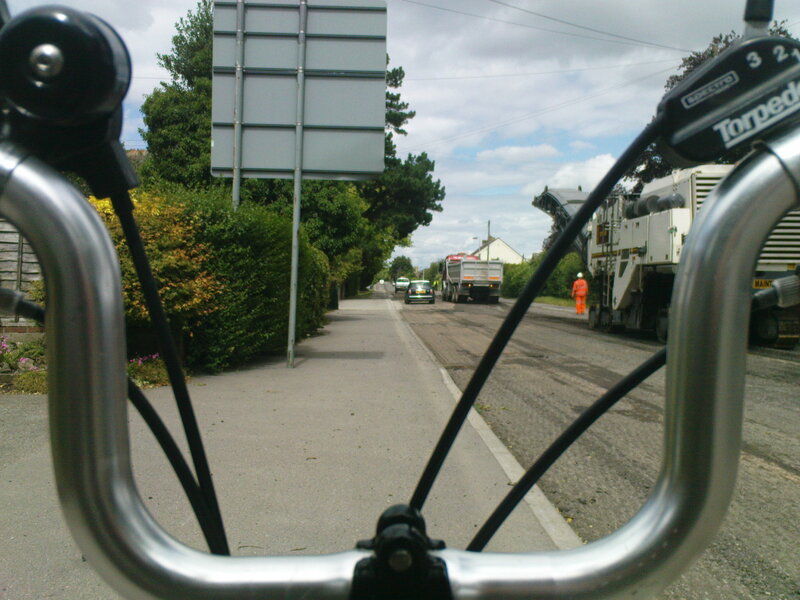 Then into Melksham itself, via the bikes and buses only route, which as it was devoid of traffic, saw us cycling three abreast. This fine stretch of tarmac is crying out for some bike activities under the cover of darkness, something like Sprint Club in Richmond Virginia. 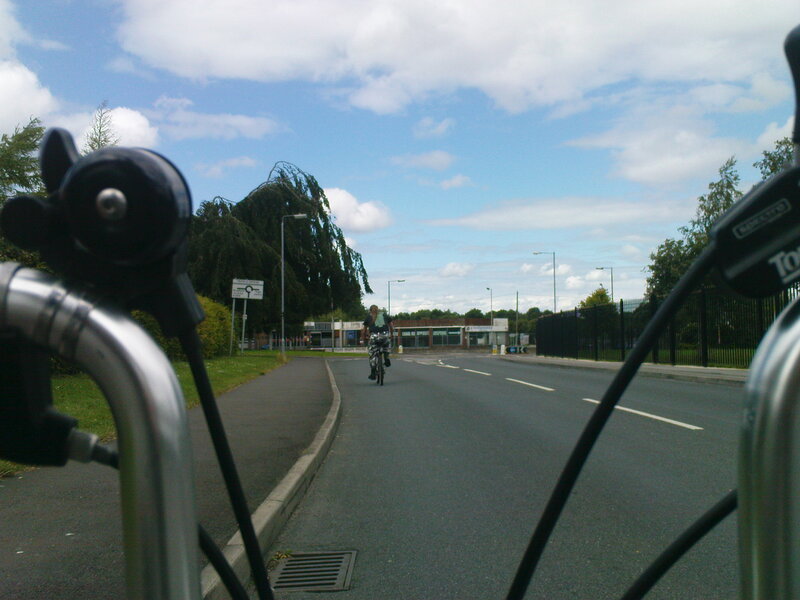 Past the Waney Edge Cafe and over the roundabout, we hurtled through the outer edge of Melksham, until we pulled over to await another of John’s friends, Damian, who arrived almost as soon as we pulled up. 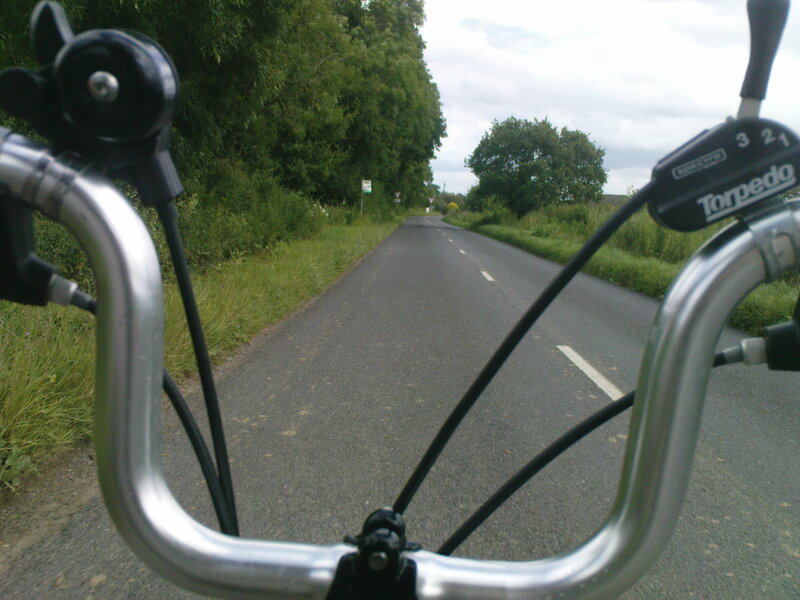 The new addition duly linked into the chain, we set off again towards Seend and Devizes. I led off the front, pulling 21mph into a headwind. This proved to be utterly foolish, I was expecting Brad to come hurtling past and take over pulling at any second, but he never came. Then, even worse, we hung a right and smacked straight into a hell of a hill. 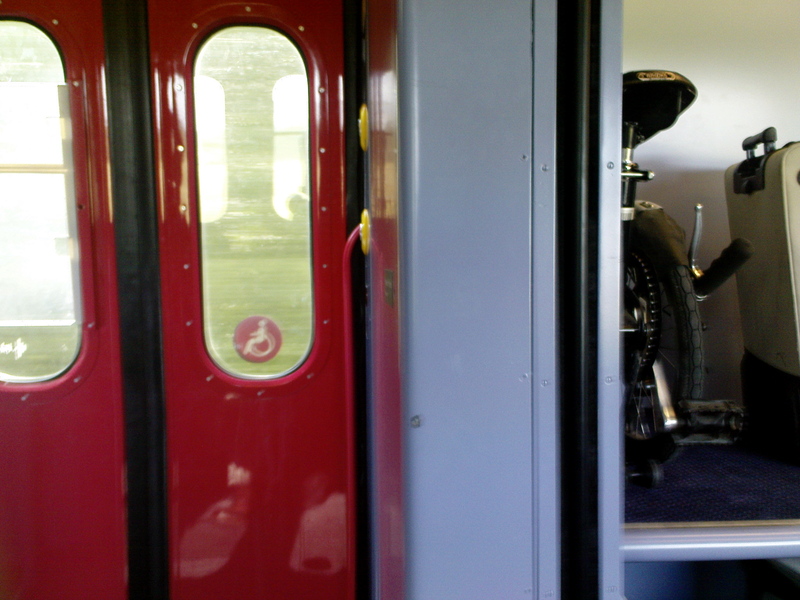 I sat on the back behind John and just pushed and pulled my way through it, coming up a long time after the others. 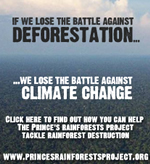 From then on in, it was a war of attrition with the wind. Damian was proving that he could keep up with Brad no trouble, and as usual it was up to John and myself to keep nightwatchman on the rear of the group. Then we turned directly into the headwind and the group started to break up. Brad was on the front and I hung onto his wheel for a few minutes, then fell off, unable to sustain 19-20mph uphill and into the wind (even with the shelter Brad was providing as I drafted him). I sat up to take a drink and Damian shot past, I watched them disappear around the first of many torturous switchbacks and double bends, before clamping down and digging in. My concentration was split between two things, maintaining an even, steady cadence and keeping breathing. 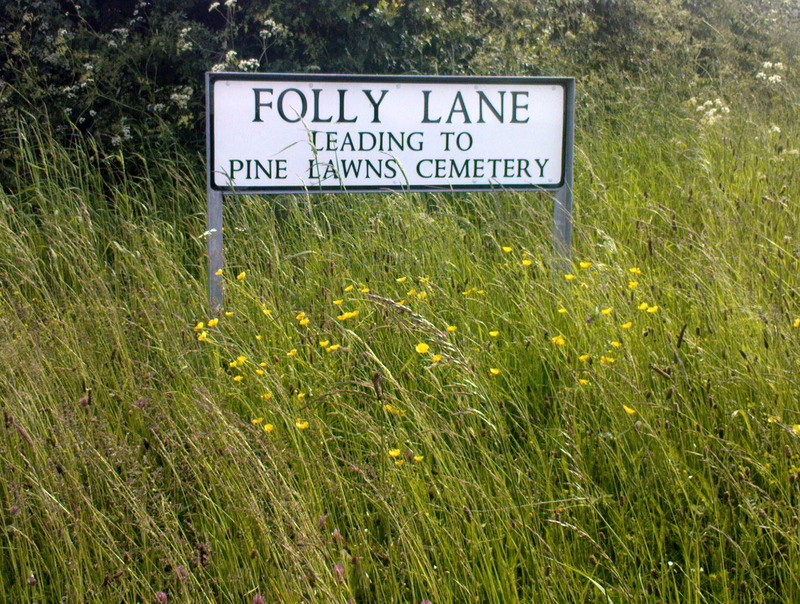 The road got narrower and narrower, winding it’s way through tiny hamlets and villages. The verges became grassy, unfenced areas of common land, strewn with wildflowers, single cottages with beautifully looked after gardens unfolded from around blind corners. Eventually I stopped seeing glimpses of the two out front in the distance, and I was left alone with the roar of the wind and the sound of my own ragged panting. The final straw came as the rain spattered down and I met a bus in the lane, the compulsory sudden stop as it squeezed past me, left my legs shocked into paralysis and I could barely turn the cranks. Luckily there was a junction for the main road and Brad and Damian were waiting there. Also luckily, John was a way behind and experiencing an enforced stop of his own with the bus, a white van and an old lady who had to reverse down the lane to allow the bus past. All of this gave me time to recover and watch a Eurofighter screaming repeatedly overhead. John soon arrived, and we all took a bit of a rest and had a chat before stringing out again on the road into Westbury. 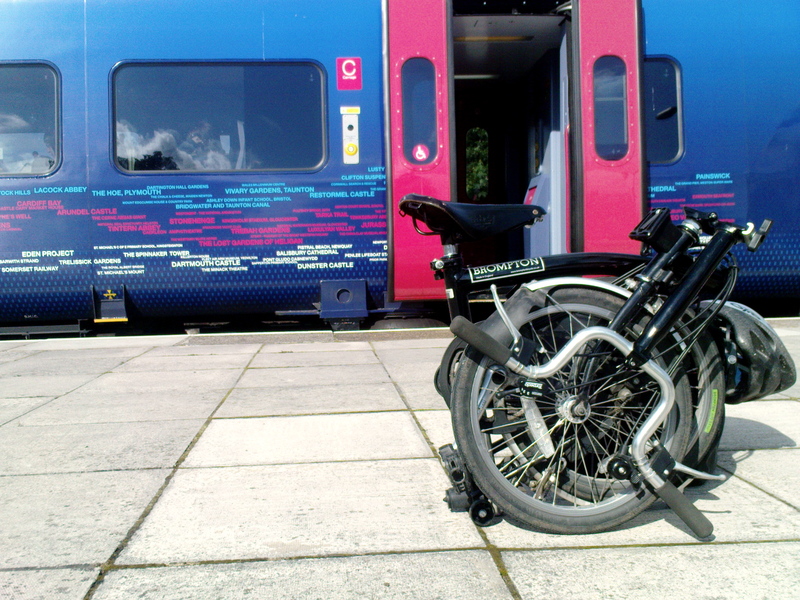 One more stop at Westbury and I was wrongfooted, or wrongwheeled. When John caught up he just sailed past and the others shot off in hot pursuit. As I was the only one without clipless pedals, it took me a while to get clipped up, then there was a seemingly endless stream of traffic. 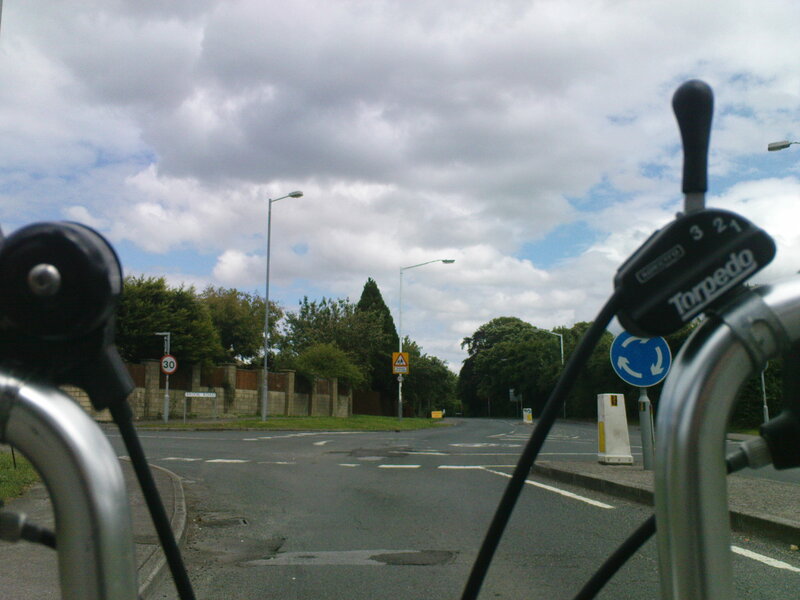 By the time I got onto the road I had lost sight of them and took a wrong turn towards the Trowbridge road. 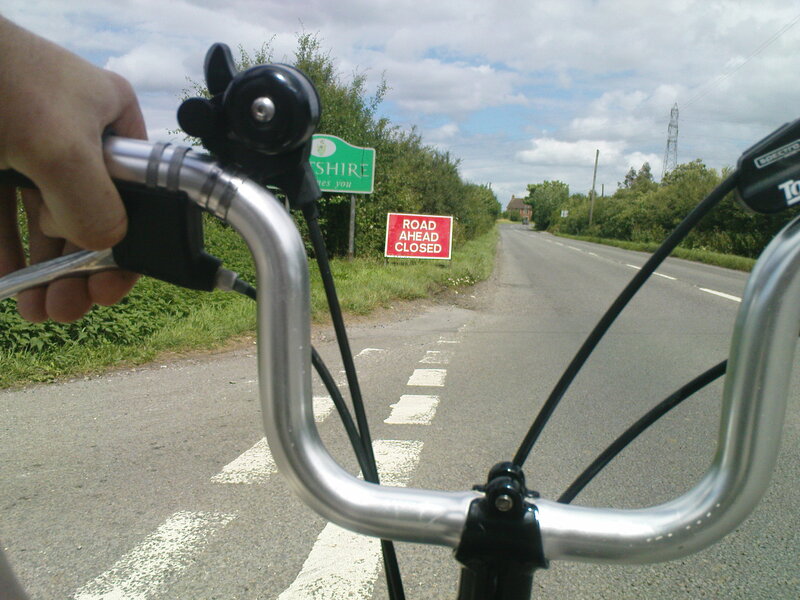 Immediately I knew I had gone the wrong way as there was a long straight stretch down which I couldn’t see any cyclists. 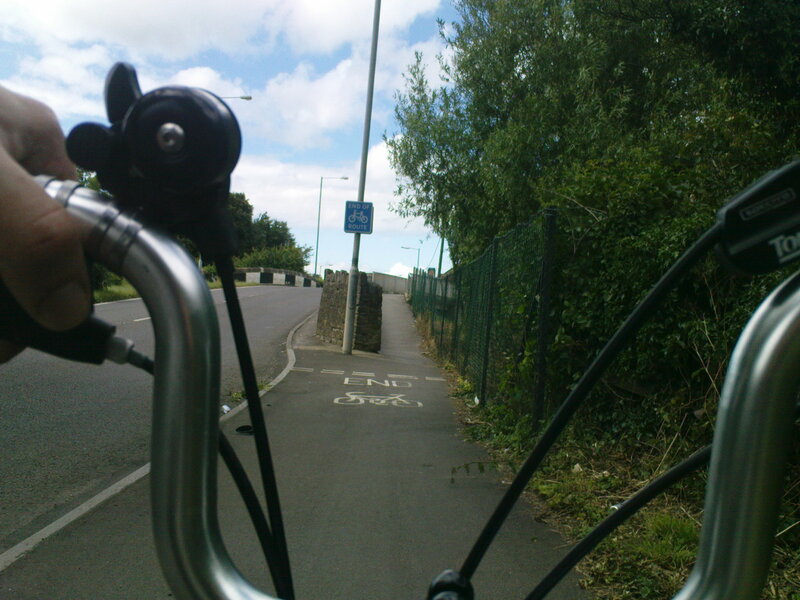 Cursing, I spun back round the mini roundabout and headed towards Westbury Leigh. This time they were waiting for me. Finally, we got some tailwind as we turned towards Brokerswood at Dilton Marsh, the going became much easier from then on in, but the rain was starting to become a little more serious. 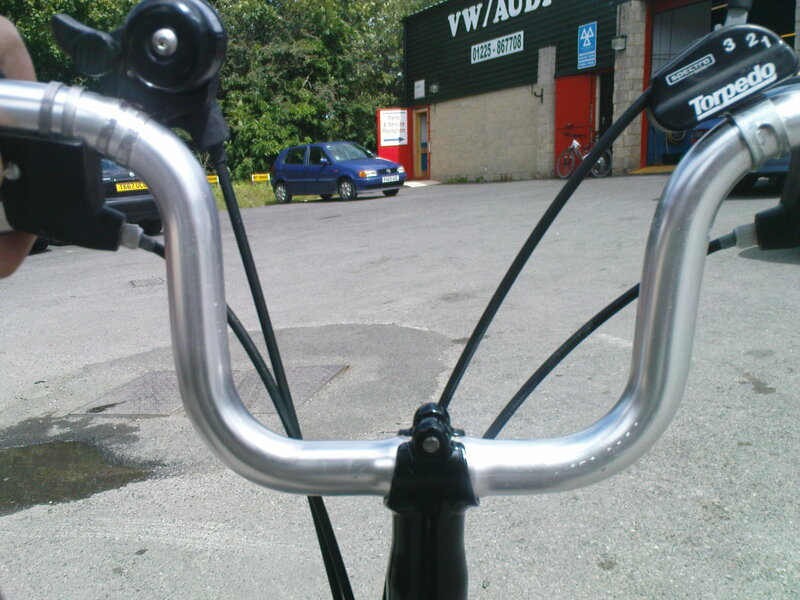 Up through Rudge, I managed to bounce my foot out of a clip during a too fast gear change, leaving me pedalling slowly up the hill, with the odd scraping of metal on tarmac as the inverted clip hit the road. I was off the back again, and only caught up as we turned towards the village. 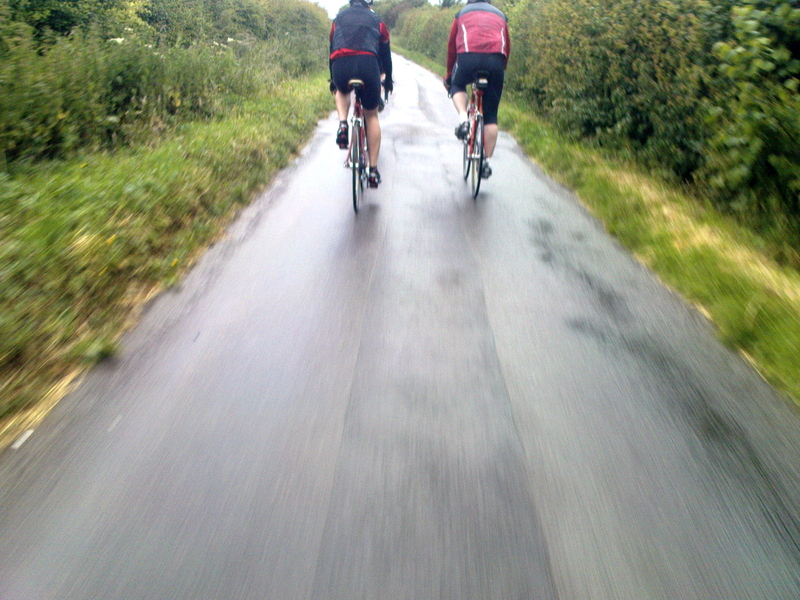 We bid each other farewell and I rode back to the house, the others rode the tailwind back to Trowbridge and Melksham. Total mileage 32 miles, soaked up the back, and legs pummeled into jelly. Now, in retrospect at 23:54, I say it was a good ride. It didn’t feel that way at first.